This wrapper was posted at Cross near Axbridge and 1d. 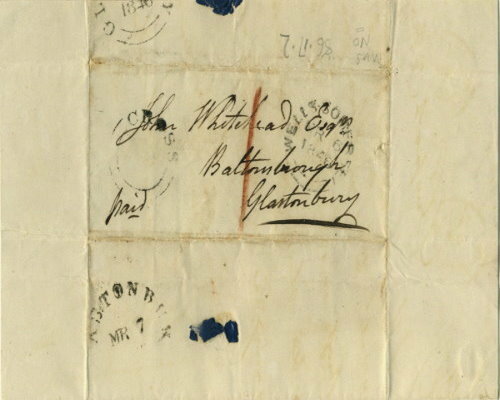 postage was paid as indicated by the manuscript “1” in red and “paid”. The item was carried to Wells, receiving a double arc mark dated 6 March 1846, long after the introduction of the penny adhesive stamps. The wrapper had a Glastonbury double arc arrival mark applied on 7 March.